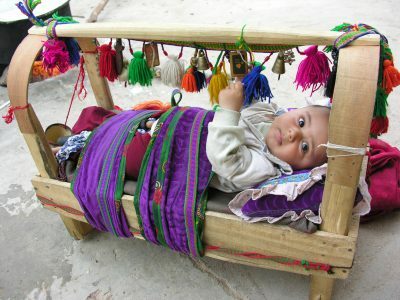 The Bakhtiari are one of the largest of all the Iranian nomadic tribes. I walked the migration (kuch) with the Faridgi family. 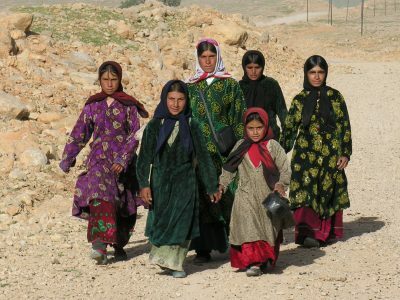 Kuch traditionally takes place twice a year, when families walk their livestock over the Zagros Mountains, from the winter to the summer pastures. My pictures of this were exhibited at the Brunei Gallery, SOAS, alongside some of the historical background. 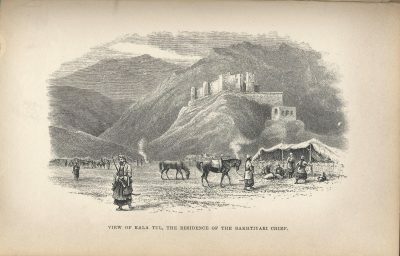 Middle East oil was first found on Bakhtiari land. They were the muscle for the Constitutional Revolution – successfully invading Tehran in 1909, and then de facto controlling Iran for the next twenty years. Like other British women who, historically travelled through Bakhtiari territory, I’m a big fan of the Bakhtiari, including their poetry. 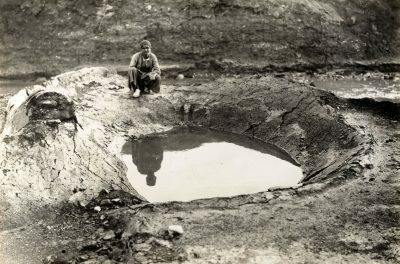 This crater like trap was used for the primitive local oil industry. The lighter fractions were burned off, and when the oil reached the desired consistency, it was drained off using an underground channel. 1926 ARC224931_3429 Copyright: BP plc. Along the way, we met lots of other families, all migrating. Only one of these women is married – it is the unmarried girls who wear the layered and brightly coloured dresses. It is usual for the smallest child to carry the all-important kettle – ready for action as soon as they halt.